The jacamars are a family, Galbulidae, of near passerine birds from tropical South and Central America, extending up to Mexico. The order contains five genera and 18 species. The family is closely related to the puffbirds, another Neotropical family, and the two families are often separated into their own order away from the Piciformes, instead being placed in the Galbuliformes. 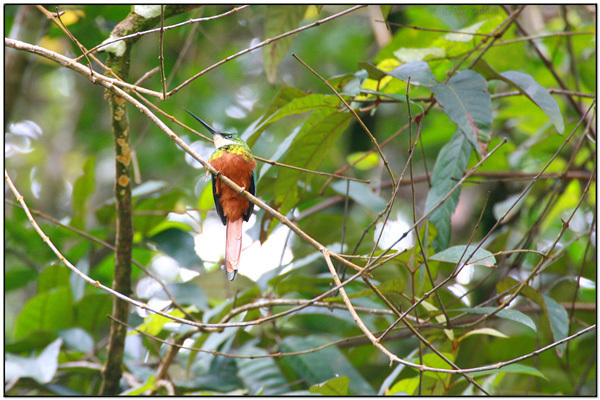 They are principally birds of low altitude woodlands and forests, and particularly of forest edge and canopy.